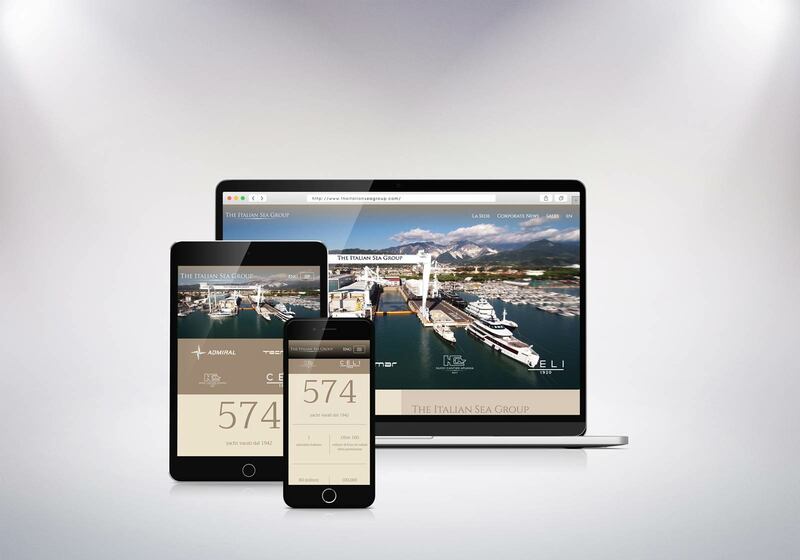 Even if The Italian Sea Group (Admiral, Tecnomar, NCA Refit, Celi) is one of the greatest groups in the international luxury boating industry, it needed to reinforce its brand awareness at digital level. As a matter of fact, its brand values and the ones connected to its various companies were not adequately enhanced on the Web and social networks. In order to achieve this task, we developed a global communication plan focused on a digital strategy that took into account the Group's specific peculiarities and its companies' needs. We re-organized and structured the entire information architecture in order to bring web contents to a much more efficient fruition. We also took care of SEO copywriting, graphic design and advertisement campaign. Besides, we organized a series of training courses to teach the staff about communication competences. Furthermore, we planned a new email marketing campaign and managed analytics reports.